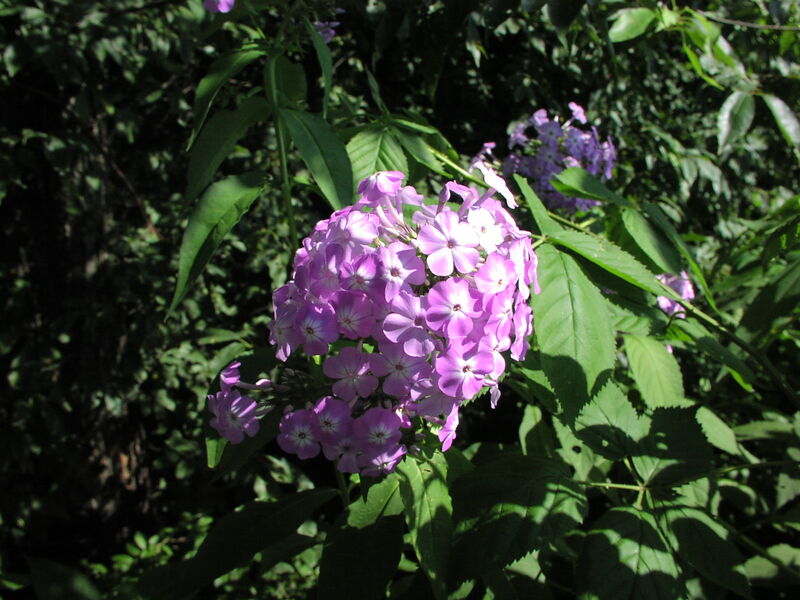 Height: 2 to 6 ft.
Garden phlox leaves occur in simple pairs, while those of bouncing bet has additional small leaflets emerging with the larger leaves. Bouncing bet petals are notably indented at the ends, while garden plhox petals are less so. Dame's rocket has four petals, while phlox has five. Wild blue phlox has smaller leaves and flatter clusters of blooms. Flowers of the wild blue phlox all radiate from the end of the stem, while garden phlox has clusters growing from the axils. Petals of wild pink are notched. Flower heads of phlox are denser. Wild Sweet William has a purple-spotted stem and a more cylindrical flower cluster.